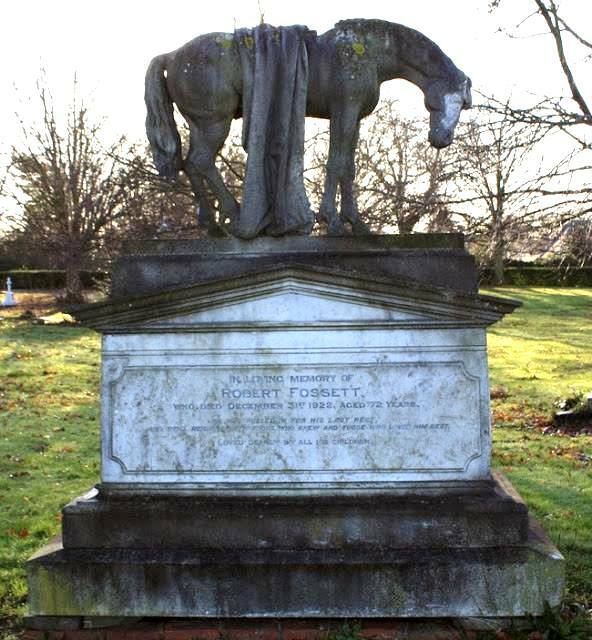 In Billing Road cemetery Northampton, stands a memorial to ‘Sir’ Robert William Fossett, a circus owner, his wife and their son. The Fossett family’s involvement with the circus as Equestriennes began in 1852. Robert Fossett proclaimed as the champion bare-back rider of the world, gave himself the title of Sir to compete against ‘Lord’ George Sanger, who was one of the most successful circus entrerpreneurs of the 19th century. The memorial is a pedimented plinth with a gable stone inscribed on one side with the legend, In Loving Memory Of Robert Fossett, Who Died December 31st 1922, Aged 72 Years. He Has Pulled In For His Last Rest And Still Remains With Those Who Knew And Those Who Loved Him Best. Loved Dearly By All His Children. The other side of the stone hosts the inscription, In Loving Memory Of Mary, The Dearly Beloved Wife Of Robert Fossett. Who Died September 18th 1915, Aged 56 Years. 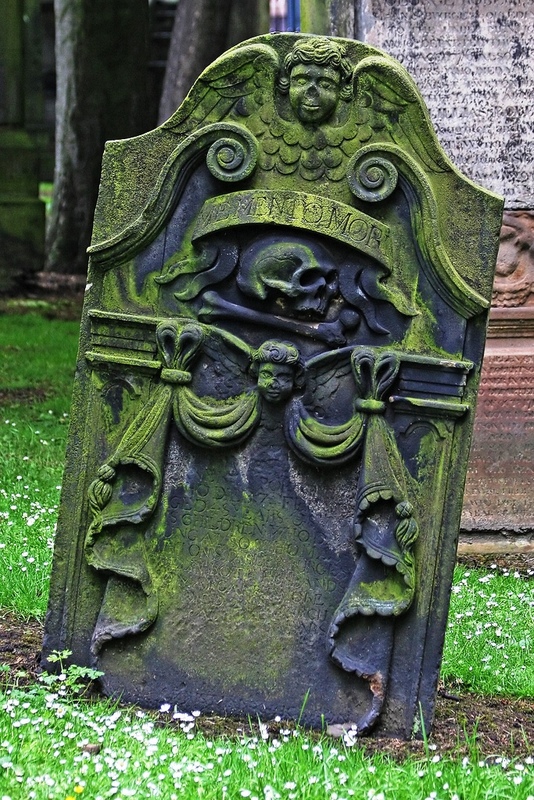 The Face We Loved Is Now Laid Low, The Fond True Heart Is Still, The Hand That Often Clasped In Ours, Lies Now In Death’s Cold Chill. Life’s Race Well Run, Life’s Work Well Done, Life’s Crown Well Won, Then Comes Sweet Rest At Last. “Her Children Arise Up And Call Her Blessed. A carving of crossed whips and a horseshoe encircled with oak leaves is located on the capital beneath the head of the horse. Oak, a dense wood which is strong and hard represents stability, strength, endurance and longevity and is commonly found near children’s graves. An inscription below states, Henry Son Of R. And M. Fossett. Died Nov 14th 1890 Aged 4 Months. 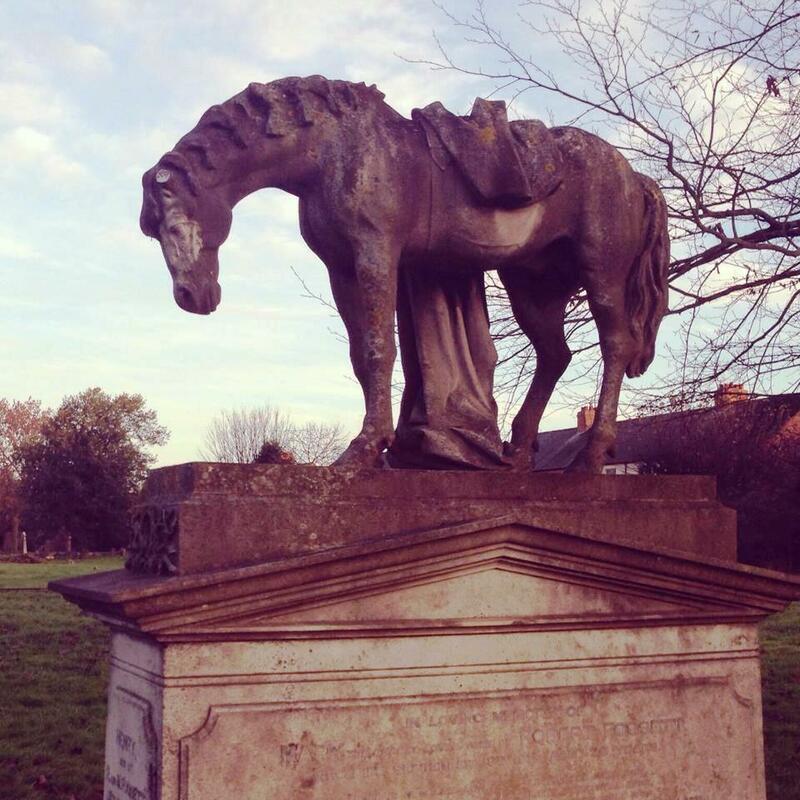 The monument is surmounted with the statue of a horse sculpted in Italian marble by Charles Robinson of Kettering. 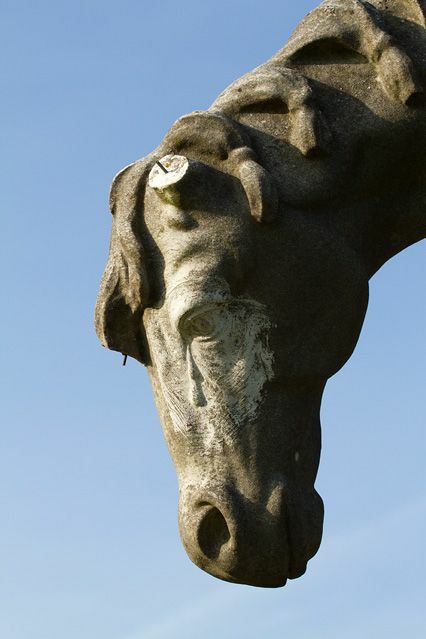 Erected in 1923 the horse with head bowed and a blanket slipping from its back symbolises the race is over. 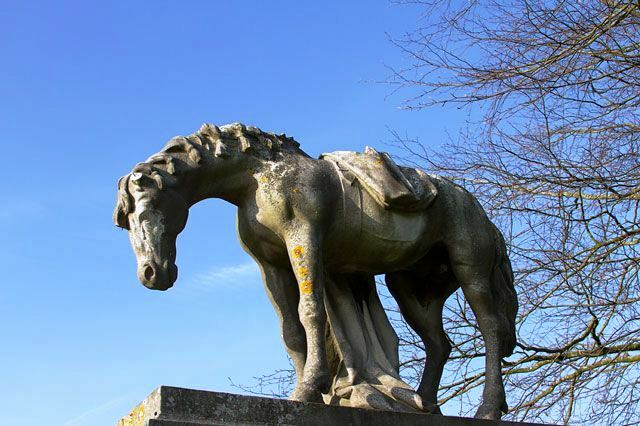 The horse originally looked down upon an open book of marble inscribed on two pages with the legend: To Our Dear Friend, Robert Fossett. A Token Of Respect From All The Artists At E. H. Bostock’s Circus. The book no longer exists and the horse’s ears have been damaged. 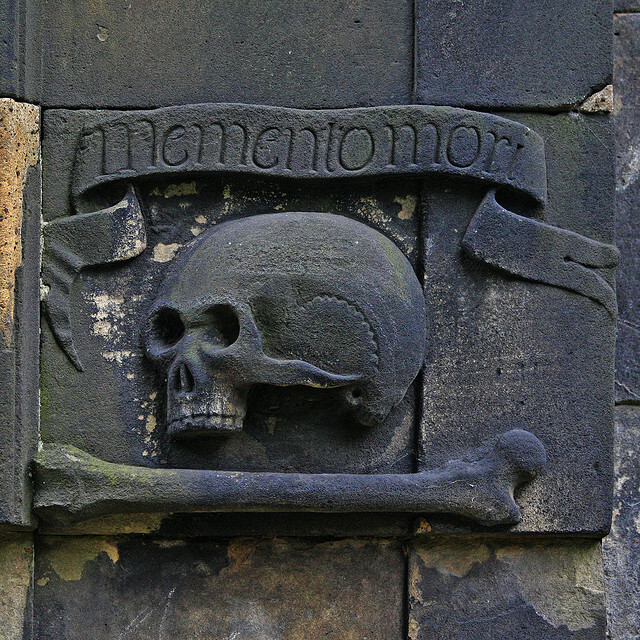 The monument was recorded as a Grade II British Listed Building on 20 April 2007. 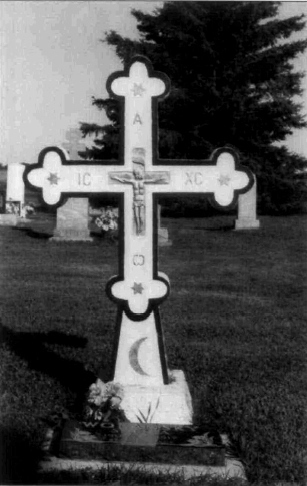 The Patonce cross refers to any cross which has expanded ends and as such includes the Patee cross, the Fleury or Gothic cross, and the Botonee cross. The Botonee cross has at each end a trefoil (three rounded lobes) which represent faith, wisdom and charity. In Christianity the three petals represent the Trinity of Father, Son and Holy Spirit with a total of 12 petals symbolizing the 12 apostles. 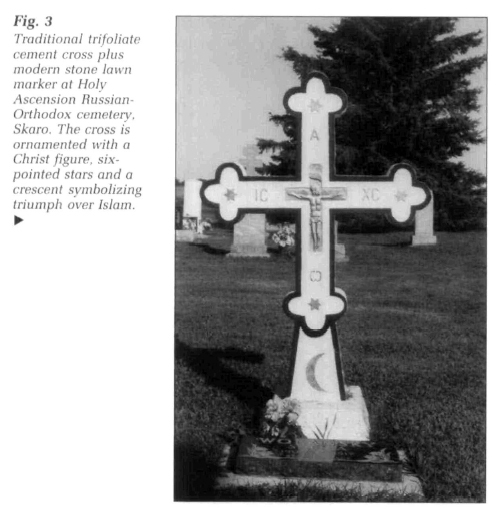 This cross is decorated with Christ on the cross, six pointed stars at each end and on the base, a crescent moon. 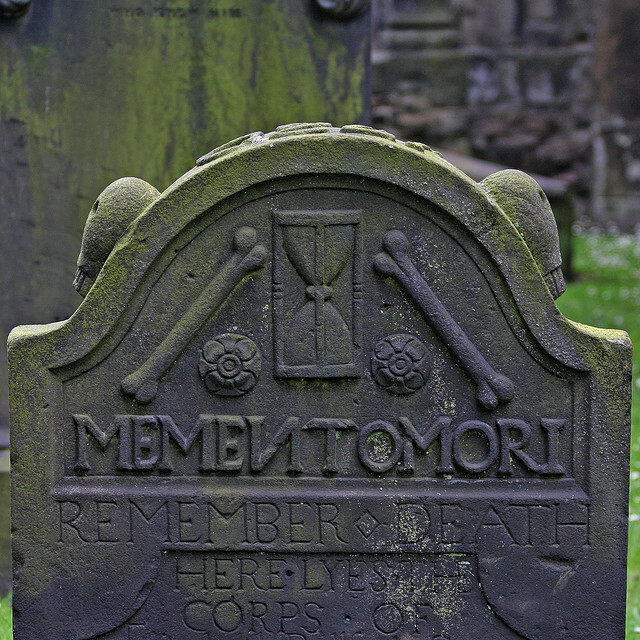 A poppy grows at the base of the above image representing Eternal sleep, Peace and Rest. The ends of a Gothic cross, also known as a Fleury cross, are more open and flare out. It represents the adult Christian and is occasionally found with flowers at the end e.g. Fleur de Lys. The Patee cross is not indented to form lobes but is incorporated into the Patonce family because its arms narrow towards the center. This cross is often embroidered on altar and pulpit hangings.